Like so many Guyanese and many other nationals around the world, I am a Dave Martins fan. I love his music with that rich bouncy Caribbean beat. I love his lyrics, always with something to learn and think about. And during the past decade or so, I have come to enjoy reading his weekly column in the Sunday Stabroek News. In a more recent article entitled “Lessons I never forgot”, in which he was reflecting on his learning experiences while an up-and-coming musical entertainer, I couldn’t help observing his use of the term, “I never forgot”, which was in the Headline. It got me to thinking of something I was doing unwittingly for many decades, with the use of that term, “I’ll never forget”, and it’s twin, “I’ll always remember”, and realised that somehow I was using both terms, which I suppose means the same thing, very selectively. Most often, whenever it is something pleasant, I’d say, “I’ll always remember”, while when it is something unpleasant, I’d say, “I’ll never forget”. That personal communication culture of mine probably goes way back seventy years to my first favourite teacher, Ms Edwards, at the Agricola Anglican School in the late 1940s. Good lessons taught by a favourite teacher are the things we always remember. And to have had the pleasure as a pre teen to dance with my teacher at a school party, is something “I’ll always remember”. The fact that Ms Edwards was plump like my Mammy, made me feel very comfortable dancing with her. Taking the lead from Dave Martins, let me first share with you, a few of those things which “I’ll never forget”. The first is the loss of a friend of mine when on a tour to the Orinduik Water Falls on the Guyana/Brazil Border. We were in our late teens and had flown from the then Atkinson Field, Timehri, airport to Orinduik in one of the British Guiana Airways Dakota planes. 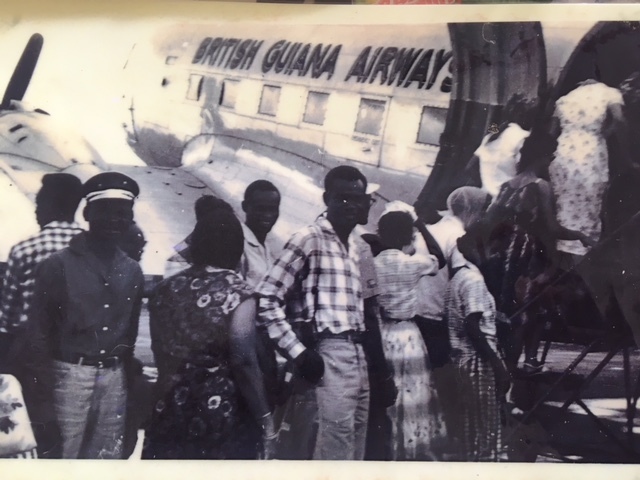 Maybe Dave Martins was already working at the British Guiana Airways at that time. It was a great trip initially, but turned tragically sad when one of our party, Courtney Johnson, drowned in the waterfall. (See Photo below). He was just age nineteen, and had, a few months previously, commenced what turned out to be, his very short working career, at the Georgetown Magistrate’s Court as a clerk. His drowning in that Iring river waterfall actually happened while the rest of us were enjoying ourselves in the beautiful river. None of us had realized that he was gone until a head count was taken before the plane was about to leave Orindouk for the return flight to Atkinson Field, that we realized that he was missing. That is something “I’ll never forget”. High on that list, of course, is my unlawful detention at a Police Station lock-up overnight in St. John’s, the capital of sister Caricom country, Antigua and Barbuda. That story is well-known around the Caribbean and beyond, of Rogue Immigration officers who were operating at the Vere Bird International Airport during the 1990s. They used to shake down Guyanese and other Caribbean Nationals at the airport. Those who, like myself refused to be victimized, were taught a lesson; inside a police station cell. The rogue officers involved wanted Guyana gold from me and when I bluntly refused, I was kidnapped and taken to the police station and thrown into a cell where I was held for about nine hours. That is something “I’ll never forget.” About a year after that illegal act by the Antigua Immigration, I received a face-to-face apology from the Prime Minister of Antigua and Barbuda, the Hon. Lester Bird. He was in Guyana at the time attending a Caricom Heads-of-Government meeting. Another incident which “I’ll never forget”, is being robbed of a trip to India. Having returned to Guyana after my studies in The Performants Arts and Journalism at the University of Middlesex in England, an invitation came for me to attend a Theatre Seminar in Bhopal, India, which was some years after the 1984 epic toxic gas disaster in that Indian city. I never knew of that invitation until I was sent another one to a similar gathering of Commonwealth theatre practitioners the following year. On that occasion, the event was held in Jamaica. It was while I was in conversation with the principal organizer that I learnt of the previous invitation. On my return to Guyana, I investigated, and discovered that someone had wilfully ducked that previous invitation. The reason how the invitation to Jamaica was received, was because it was sent by hand and delivered to my home and not to my office. Not receiving the invitation to India in the way it happened, is something “I’ll never forget”. There are many things in my life which “I’ll always remember”. The love and sacrifices of my parents. My father always planting a few trees whenever he is about to leave one location for another when he worked in the hinterland, knowing that he may never enjoy the fruits of those trees. My mother for instilling in me the virtues of treating others as I would like to be treated. However, let me give you two other examples of things which “I’ll always remember”. The invitation by then Programme Director of Radio Demerara, Rafiq Khan, to write a radio soap opera. Back then, such radio programmes were all imported from England and Australia, so for me it was supposed to be something out of my league and way above my ability as a writer. As I expressed some consternation to the invitation, Rafiq Khan said to me seven magical and inspirational words; “Francis, I know you can do it.” And as the saying goes, the rest is history. That, certainly, is something “I’ll Always Remember”. 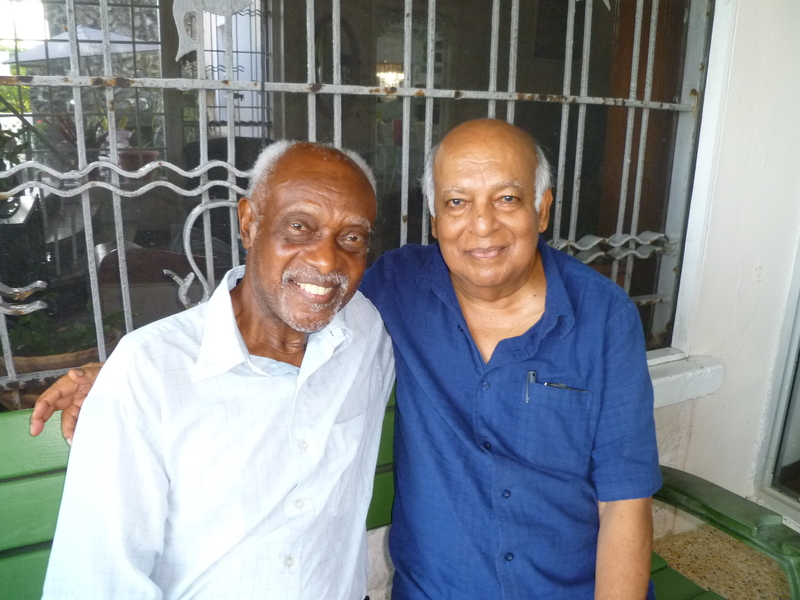 On his return to his native Guyana after the success of his Bestselling novel, “To Sir, With Love”, I invited E.R. Braithwaite to an Evening of Drama which I produced and was staged at the YWCA on Brickdam in Georgetown. That led to him offering me a special Grant to attend a Summer Course in Theatre and Journalism at the Banff School of Fine Arts, University of Alberta, in Canada. Of course, that is certainly something, “I’ll Always Remember”. Finally, it is my belief that the National Award of The Golden Arrow of Achievement (AA) pales into insignificance for Dave Martins, when compared to the real “AA” in his life – Annette Arjune. 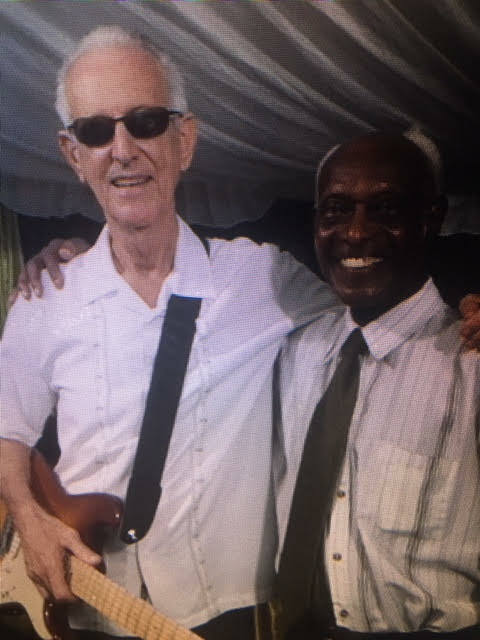 Something we will “Always Remember” about our Hero, Dave Martins who composed that popular song, “Caribbean, where are your Heroes?”, and of course, that patriotic masterpiece, “Not a Blade of Grass”; compositions by Dave Martins which we will “Always Remember”. Backing camera at extreme left, is Courtney Johnson who drowned at the Orinduik Falls. I am at center in plaid shirt and hand in pocket. So sad all the talk about honoring “past ” greats never happens, maybe it is time to do the honoring, having a center, filled with memorabilia, while they are still alive. Did a lot of stuff with Dave in the ole days, remember I was always in awe of his wit. My “Will always remember” in the sixties going to Denmark by car, from Kiel, there was one Indian, two Germans, one Finn [?] and one Guyanese [me]. at the immigration check point, they told us they will not allow the Indian, the rest can pass. I thought I might have been prevented too, had to ask, and did. The officer told me Guyana [British Guiana] had one of the oldest Danish Consulate Offices in south America, and had a very good relationship with the country. Sometimes this site brings up good memories for me, sometimes. Thanks for sharing. Enjoyed your way of bringing your childhood friend back to life. Pretty good, of course I could not get the continuation of the final paragraph, maybe too deep for me. I liked it. I had passed my PTA examination waiting for a call to teach as a Pupil Teacher. In those days this was one way to get into teaching. But the Presbyterian bosses wouldn’t hire a Hindu, so I was waiting on my call. I got it when my aunt from Anna Regina/Suddie sent me a telegram. I went and started a 30-year-old career as a teacher at Anna Regina under the superb guidance of the late Great CV Nunes.